Our Internet of Things solutions offer real-time tracking and the capturing of real- time data machines to help make accurate decisions. EGS IoT services drives superior business outcomes by attaining a high degree of operational excellence which ultimately delivers a competitive advantage. We serve our clients on this principle “Any device, any location, any application”. No matter where businesses stand in the IoT journey, we help them adapt to fit in the unique IoT space. 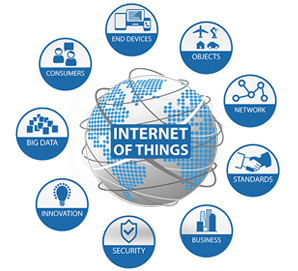 We help clients to realize tangible and significant IoT benefits. In order for IoT to work, we at EGS simplify the process of implementation by following agile standards. 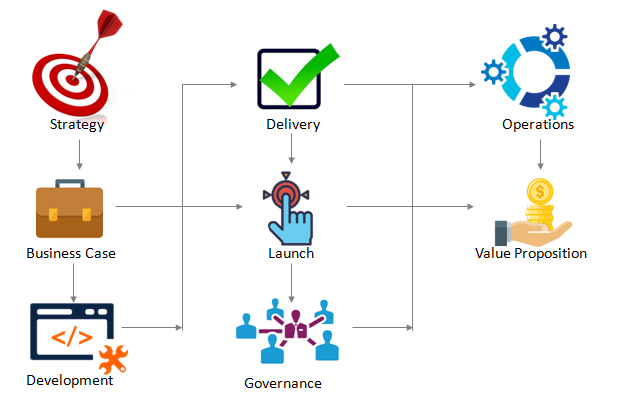 The main goal of EGS IoT approach is to facilitate the decision making process to not only make the right decisions, but to make the right decisions right. Our SME’s have experience in working on multiple initiatives, starting from hardware procurement, GAP analysis, business models, implantations, and integration, to Maintenance and support on various industry verticals. Our dedicated IoT Research and Development team to scrutinize each possibility of IoT development as a cost effective and integrated solution. IoT and Cloud: EGS understands the needs & opportunities which are made possible by integrated solutions with a single roof of accountability by using reliable cloud platforms. Because the Data can be collected from various sources, machines, and applications, which are unstructured. EGS helps customers to increase operational efficiency and transform their business models. IoT and Block chain: We use block chain technology in IoT solutions where multiple data transactions are taking place from multiple applications or connected devices. We make sure to generate accurate secured data records protected against being altered or changed. IoT and Big data: Big Data & analytics plays an important role in processing the massive amounts of data generated by IoT. The value of IoT goes hand-in-hand with big data and provides huge benefits to individuals and organizations. A typical IoT system would comprise of sensors to collect data and transfer them to a gateway, which in turn would send them to a processing system (analytics cloud), which gives back the accurate and decision oriented information to operational and executive management. IoT and Testing: The performance and behavior of the IoT solutions is largely dependent on the device application and the communication module. IoT solutions with large numbers of connected devices, which continuously generate large data, creates challenges for any business. EGS IoT Testing approach, with well-planned testing strategies, test cases and appropriate automation can result in high-quality IoT solutions. EGS has a unique moto is to partner up with Intel, Microsoft, IBM, and strategic alliances with other firms is to develop a cost effective, advanced IoT solutions within our client’s business investments.